A new resource by Encompass World Publishing that serves as a quick introduction to missions is now available. 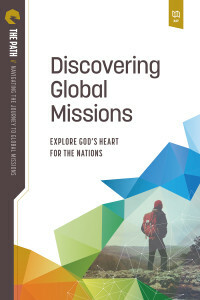 Discovering Global Missions is designed for group or individual study, it includes creative videos with each chapter. More information about this book and the series it’s a part of is available at EncompassWorldPartners.org/Discovering. Please feel free to send individuals to this page to request their own PDF copy of the book. This is also where bulk orders for may be placed. All the details including pricing are there.